Bangkok, Thailand -- One of the things that disturbed King Nangklao (1824-1851) was the sight of Dhammayuktinikaya monks wearing yellow robes in the Mon fashion. So just before he died, he asked Wachirayan Bhikku, then Abbot of Wat Borwonnivet, to promise him that he would not force all the Maha Nikaya monks to wear the yellow robe. Wachirayan Bhikku readily concurred. After he ascended the throne as King Mongkut, he kept his word. He went as far as not to show any particular favour to the Dhammayuktinikaya sect he had founded as a reaction to the decline of Buddhism at the time. Dhammayuktinikaya would become an important sect rivalling Maha Nikaya under the overall umbrella of Theravada Buddhism. Yet Dhammayuktinikaya would prosper in its unique way to influence not only the interpretation of the Buddha’s teaching but also art and architecture. Realism would be the flowing theme in the Dhammayuktinikaya. Since the Buddhist doctrine was first written down 400 years after the death of the Lord Buddha, King Mongkut felt there could be some flaws in the interpretation of the Buddha’s teaching. He sought to create a new Buddhism. He was also unhappy with the general decline of Buddhism at the time, with monks reciting prayers without understanding the real meaning and with numerous monks showing a lax attitude toward the vinaya (regulations or procedures covering monks). The Dhammayuktinikaya sect pursued strict discipline. The monks followed the vinaya thoroughly, and practised and studied Buddhism seriously. When they read Pali, they had to pronounce the language correctly. The way the monks were ordained was revised. Realism would be the underlying theme. 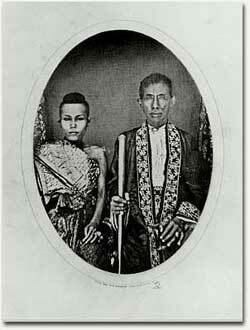 During his reign, King Mongkut (1851-1868) commissioned the renovation of at least 50 temples in the Kingdom. He also sent Dhammayuktinikaya monks to stay in most of them. King Rama IV also had more temples built such as Wat Ratchapradit in the east of the Royal Palace to accommodate members of the royal family who would like to make merit in the fashion of the Dhammayuktinikaya sect. Wat Sommanatwihan Ratchaworawihan, Wat Pathum-wanaram Rajaworavihara and Wat Makutkasattriyaram were also royal-sponsored temples. At a seminar last week to commemorate the 200th anniversary of the birth of King Mongkut, organised by Thai Khadi Research Institute, scholars said realism prevailed in the Dhammayuktinikaya’s art and architecture. The temple renovations and building during King Mongkut’s time had prayer hall, cloisters and stupas built together as a group and some had two rings of boundary stones (Sima). The Maha Sima, placed in the temple walls and the Khantha Sima, also surrounded the prayer hall. According to Naengnoi Suksri, National Researcher of 1995, this layout was to accommodate monks to precisely and strictly do routine activities as stated in the vinaya. These examples can also be seen at Somma-natwihan Ratchaworawihan and Ayutthaya’s Wat Senasana. Pitchaya Sumjinda, a lecturer at Chiang Mai University’s Fine Arts Faculty, said the Buddha images of Dhammayuktinikaya also reflected its realistic approach. The Buddha images mostly resemble human forms, with no Ketumala (the enlarged portion of skull on a Buddha image representing one of the 32 traits of a Great Man) and showed the wrinkled robes to reflect the realism. Phra Nirantrarai Buddha image was another example of this artistic tradition. Silpakorn University Fine Arts Faculty lecturer Suttha Leenuwattiwong said Dhammayuktinikaya also cast its influence on traditional mural painting. The traditional red paint on the wall was replaced with blue paint to represent blue sky or background of buildings or perspectives. Every object and person painted was considered in real-life scale instead of the distorted proportionalism practised in traditional paintings. Outspoken monk scholar Mettanando Bhikku also enlightened people about the wisdom of King Mongkut. He traced the King’s religious role in the historical context. Born as a celestial prince on October 18, 1804 – the second son of King Buddha Lertla and Queen Sri Suriyendra – King Mongkut had been given a traditional education befitting his status. Shortly after he entered the monkhood at the age of 20, his father died. Facing a tough choice between the throne and monkhood, Wachirayan Bhikku – who at the age of 12 was once assigned by his father to take charge of the armed forces to supervise the settlement of Mon refugees – decided to remain in monastic life. He would wear the robes for 27 years. That was a good choice as the monk’s status had protected Wachirayan Bhikku politically amid King Rama III’s solid reign of power, Mettanando said. The monk status also brought him freedom and opportunities to learn new things and meet people including missionaries from overseas, gaining insights and strengthening his wisdom, compared to other royal members limited in their travelling for fear they might gather forces to seize the throne. The Dhammayuktinikaya was heavily dosed with a scientific method of thinking and empiricism, stemming from Wachirayan Bhikku’s discovery that things in Buddhist ways of life and belief had strayed from the practices during the days of Lord Buddha. This, thus, denied the Sangha purity traced back to the Ayutthaya age. Gaining inspiration from seeing the stricter practices of Mon monks, Wachirayana Bhikku re-ordained according to the Mon’s Simakalaya-ninikaya which had claimed to descend from 88 generations of Arahan monks (Buddhist saints). Thus the new sect was born and continued the first 12 years in stricter monastic practice at Wat Rachathiwat. Later Wachirayan Bhikku and some 50 monks in 1836 moved to Wat Bovornnivet where the Dhammayuktinikaya was established. Mettanando Bhikku raised another possible cause for the birth of the Dhammayuk-tinikaya: That of Wachirayan Bhikku’s personal conflict with senior monks, especially his master of ordination at Wat Mahathat. He said Wachirayan Bhikku spent 27 years as a Buddhist monk with about 6-7 ordinations and, after his accession to the throne, no Supreme Patriarch was requested to stay at Wat Mahathat, as traditionally done since the Ayutthaya Kingdom. There was no report of Wat Mahathat being renovated throughout King Mongkut’s reign. The new sect’s claim of being from a longer-standing purity of Sangha than the Siamese Kingdom’s Buddhism left King Rama III no choice but to support it. This helped solidify the new sect and its monks became close to politics and the throne. Towards the end of King Rama III’s reign, Dhammayuktinikaya monks were widely known though there were only some 500 of them, compared to 28,000 Mahanikaya monks at the time. When King Mongkut ascended the throne in 1851, he also appointed as 7th Supreme Patriarch His Holiness Somdet Phra Maha Samana Chao Kromma Phra Paramanujit-jinorasa and requested him to stay at Wat Phra Chetupon, although previous ones had stayed at Wat Mahathat. The moving of the centre of power gave birth to a new structure, which automatically included the Dhammayuktinikaya into the Kingdom’s Sangha. Another important turning point was in 1881 when the Dhamma-yuktinikaya was elevated to a council of its own, from previously being part of the central council.